Leeds United Football Club has suffered more than most clubs over the past few years and 2013-14 has proved to be yet another tumultuous season. This season has seemingly been lifted directly from the script of the television drama Dream Team, and you would be forgiven for mistaking Leeds for Harchester United FC – minus the purple kit – such has been the fiasco at Elland Road. Massimo Cellino’s takeover of the club from previous owners, Gulf Finance House, has been at the centre of the controversy. Cellino’s reign at Leeds had caused uproar before it had even begun with the sacking of manager Brian McDermott. McDermott had been shown the exit door prior to the takeover being ratified by the Football League and thus ended up reinstated as manager days later. Cellino then became the first prospective owner to fail the Football League’s ‘Fit and Proper Person’ test after he was charged by Italian courts for tax evasion in his home country. Initially it blocked the takeover. Despite months of confusion, the Football League’s decision was reversed on appeal and Cellino was appointed Director of LUFC Holdings in early April. At that point, with the takeover completed and the promise of financial security, there was hope that some sort of normality would finally return to the once illustrious northern club. The English media latched onto the story right from the start and have followed it closely ever since. The latest development sees former Aston Villa, Sheffield Wednesday and Bradford City forward, Benito Carbone enter the maelstrom at the club. The Daily Mail reported the initial story that McDermott’s future was in jeopardy once again and Carbone was being lined up to replace him as manager. Carbone’s presence at the Leeds training ground during such a turbulent time for the club will have only served to fuel the speculation reported by the Daily Mail. Football is a cauldron that breeds extraordinary decisions but with the greatest of respect to Carbone, to replace Brian McDermott, a manager who led Reading to the Football League Championship title and secured promotion to the Premier League, with a managerial rookie, who has minimal experience in the Italian second division, is almost inconceivable. This appears to be a sweeping statement from Cellino as the Leeds United academy has fostered a reputation for producing talented players such as James Milner, Aaron Lennon, Fabian Delph and Danny Rose, all of whom are products of the system and currently play in the Premier League. Cellino’s claim is further refuted by the fact that five players of the eighteen man squad which beat Birmingham City 3-1 on 26 April were academy products. This is all without mentioning Sam Byram who is hot property in the Football League and has been linked with a number of top clubs. The Leeds academy has hardly floundered in recent years having been awarded category two status in line with the Football Association’s newly implemented Elite Player Performance Plan; and if Cellino’s “…£2 million a year…” claim holds any truth, then Leeds were close to fulfilling the criteria to achieve category one status. Moreover, Richard Naylor managed the Leeds under-18’s side to their respective division title last season. Not exactly signs of failure. While it’s indeed peculiar for a coach at a Championship side to work for free, Carbone has plenty of playing experience to impart on the young players at Leeds and his impact could prove very positive. As a player, Carbone was a journeyman forward, both in Italy and in England. He spent time most notably at Napoli and Inter Milan amongst others before moving to England with Sheffield Wednesday in the Premier League and then onto Aston Villa for 1999-00 season. From my memory, I remember Carbone for his time at Bradford City. 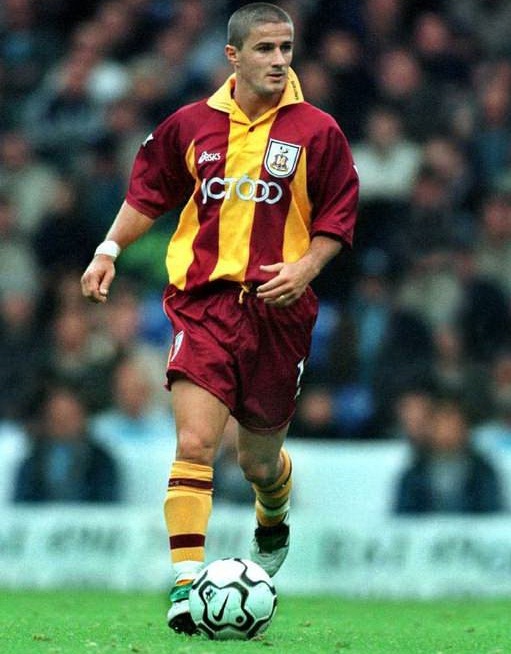 He became City’s marquee signing in the summer of 2000; he was expected to bring a touch of flair to the team and help to establish the Bantams as a mid-table Premier League side following their spectacular relegation survival in the 1999-00 season. However, the Italian’s £40,000-a-week wages were beyond Bradford’s finances at the time and the club were relegated in Carbone’s first season. Despite Bradford’s struggles in their second Premier League season and his consistent injuries, Carbone was by some distance the most gifted footballer in the side, with hard work to match his flair. As a player, he left several lasting memories with Bradford fans including his goal against Chelsea in a historic 2-0 victory at Valley Parade, a lobbed finish over Saša Ilić in the Charlton goal in another 2-0 win and finally, his unbelievable free-kick in a 1-3 defeat to Ipswich town. The circumstances surrounding Carbone’s appointment at Leeds are more than a little ambiguous, if not completely misleading. However it’s encouraging to see Cellino is concentrating on improving the youth academy and Carbone has lots of playing expertise and some managerial experience to offer in this capacity. 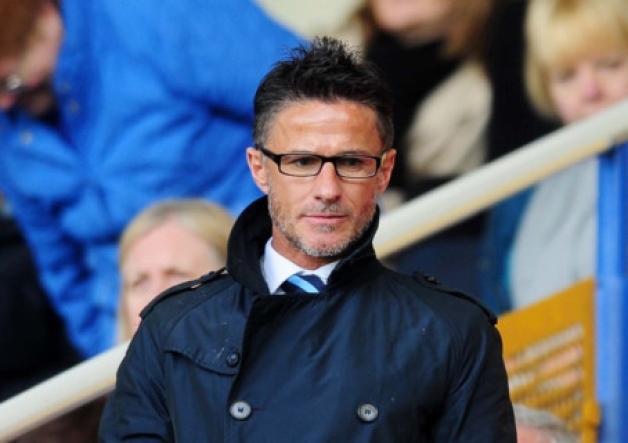 For Carbone himself, this could be the perfect opportunity to take his first steps on the path to a managerial career in England.